RBI is all set to introduce new ₹ 50 denomination banknotes in the Mahatma Gandhi (New) Series in a bright Fluorescent Blue color. As per the standard practice, the new notes shall bear signatures of RBI Governor, Dr. Urjit R. Patel. 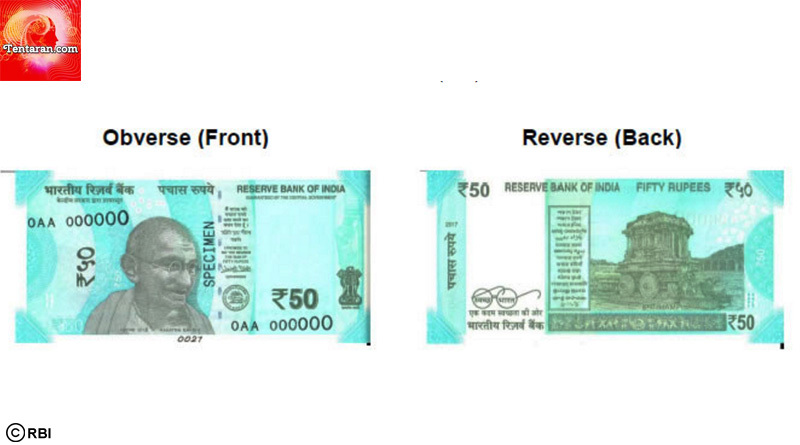 – Standard features – Guarantee Clause, Governor’s signature with Promise Clause and RBI emblem towards right of Mahatma Gandhi portrait. Can’t wait to get the new ₹ 50 in hand.